Effective lighting worn on multiple points of the body allows runners to see the path ahead and be seen by others. 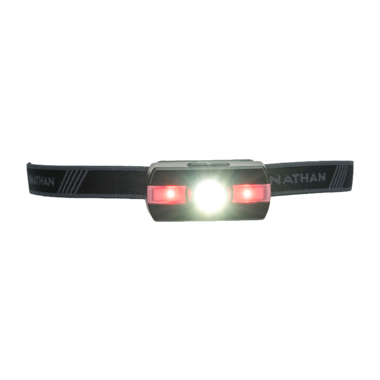 The newest addition to Nathan Sports' runner's headlamp family is their most colourful. This lightweight and long-lasting 115-lumen headlamp comes in 4 colours and includes RGB light. 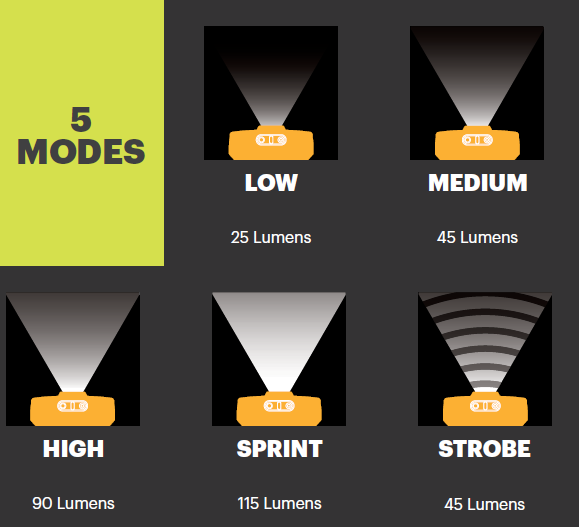 Two side-mounted strobes kick out red, green, or blue light that increases overall visibility when used with the white LED spotlight. Add some fun to your night run by changing colours to suit your mood or match your shoes. Be safe and be seen, wherever the night may take you.